As Michael W Lucas I write tech books. As Michael Warren Lucas I write SF, thrillers, mysteries, romantic suspense, and a bunch of other stuff. What goes on this site? All my books. Updates on books underway. New projects. April Fool’s pranks. Links to reviews. My travel policy. Answers to questions I’ve been asked too many times. Whatevs. Current projects? FreeBSD Mastery: Jails (just out! 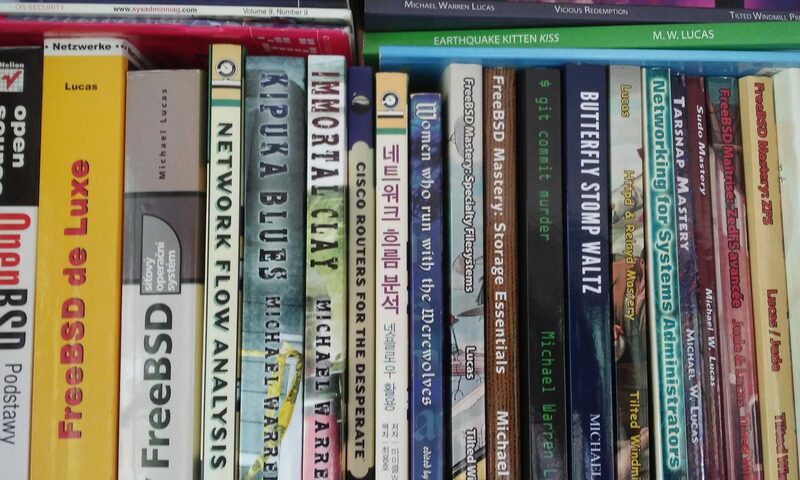 ), Sudo Mastery 2nd Edition, and Terrapin Sky Tango, aka Butterfly Stomp Waltz #2. Sign up for my fiction or nonfiction mailing list. I send mail only when I have something new for you to read. Or, if you want to join the illustrious elite who sponsors my books, there’s my sponsors mailing list. This list gets mail when I open sponsorships on a new book.